Craig Anthony Billiet pleaded guilty in Gladstone Magistrates Court on Friday to three charges; the breach of a domestic violence order (aggravated offence), wilful damage and the breach of a community service order. A MAN who claims he has a reputation as a "hard-working business owner” has escaped spending time in jail after a violent attack on a woman. The court was told Billiet, who owns a carpet cleaning business in Gladstone, assaulted a woman at his Toolooa address on October 15. Police prosecutor Senior Constable Balan Selvadurai told the court Billiet punched the woman to the left side of her face. The pair were both at the address when Billiet woke the woman up and told her to "get the f--- out”. The woman turned her head away and Billiet punched her in the mouth. She tried to get away from Billiet, who followed her and eventually locked her outside the house. Moments later he unlocked the door and threw the woman's phone on the ground, smashing it. He also pushed the woman, causing her to stumble. Police were called and officers saw the woman had swelling and red marks on her face. The court was told Billiet also breached a community service order he was ordered to complete for previous offending. Of the 40 hours he was sentenced to complete he did none. The court was told he provided a medical certificate with a diagnosis of rheumatoid arthritis. Defence lawyer Bianca Hight told the court Billiet was 38, a father and had run his own business for the past four years. Magistrate Dennis Kinsella questioned how he could run his carpet cleaning business if his arthritis prevented him from completing community service. Ms Hight said Billiet only worked when he wasn't in too much pain. She said the offending was "out of character” for Billiet. 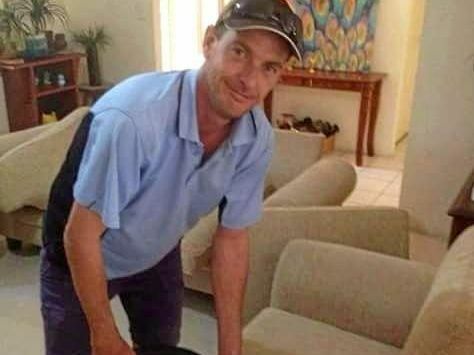 Mr Kinsella said he had trouble believing that statement considering Billiet had a criminal history that dated back to 1996. He sentenced Billiet to serve eight months in jail with immediate parole. Mr Kinsella also imposed a $250 fine for the community service order breach.